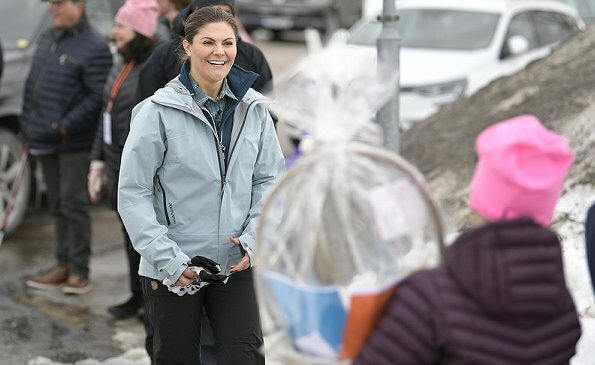 On March 29, 2019, Friday, Crown Princess Victoria's 18th hiking through Sweden's landscape took place in Vemdalen known for its beautiful mountains. 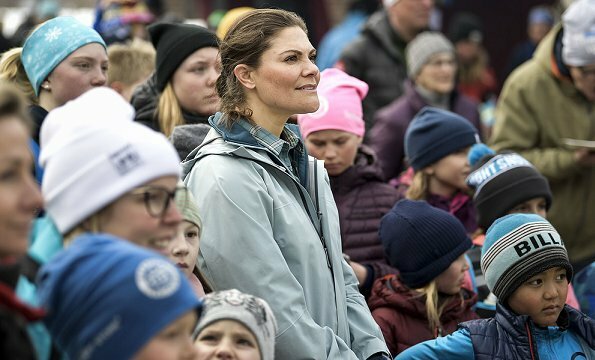 The Crown Princess's day in Härjedalen began with a visit to Vemdalen's school. 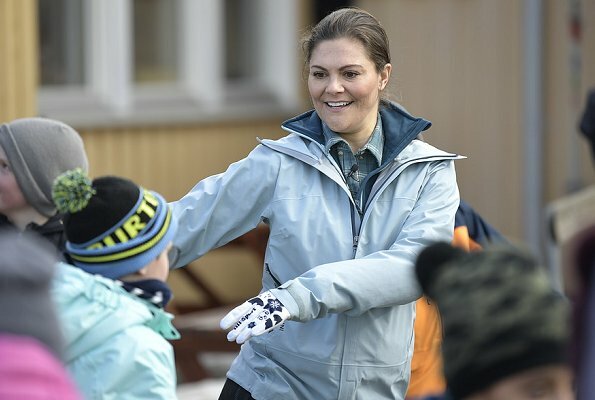 There, the Crown Princess met with the students. 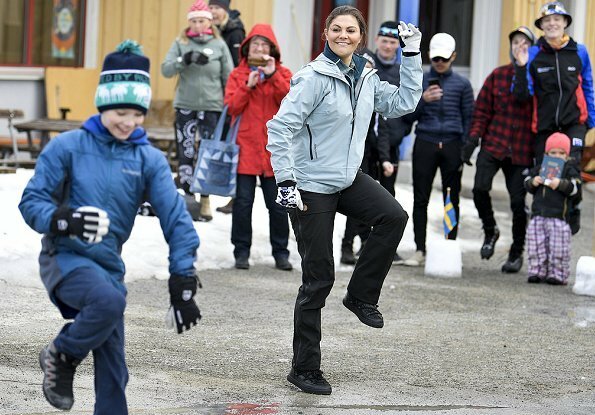 After lunch, the Crown Princess began hiking together with students and the general public. The start was at the railway station. The trip went first along the 7.5 kilometer track to Röjån and then turned to the left and followed the river in beautiful nature towards Fallmoran. Afterwards, waffles and hot chocolate were served in a hunting lodge. Shortly after 4 pm, the tour continued 3 kilometers downhill back to Vemdalsskalet where the hiking ended. How lovely , she interacts so well with people and of course children.Nice outfit too. These hikes will live in the memory of people all over Sweden. She is a wise and endlessly energetic woman building her base for a great reign when her turn comes. This outfit is a very attractive color for her and I like the fit and usefulness of the pants. 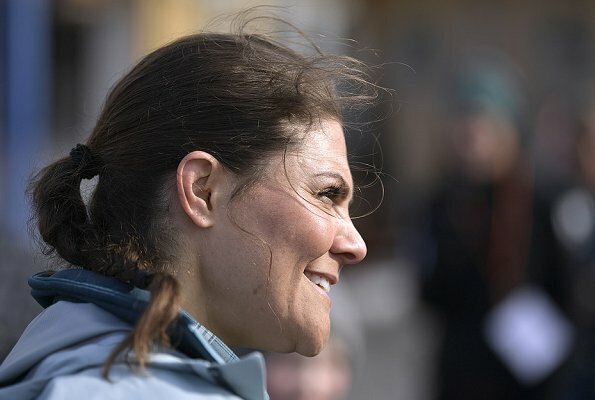 Crown Princess Victoria is so good with people and they just seem to flock to her. I think if she had her choice these kinds of public appearances would be at the top of her list. She thrives with these kinds of interaction and the clothes she wears reflects how comfortable she is with the everyday appearances. Blue is a good color for her. I applaud for Princess Victoria, she is probably the only women who did no platic surgery at all.